How many people are there on Earth? Many of us know the answer to that – about 7.2 billion people. 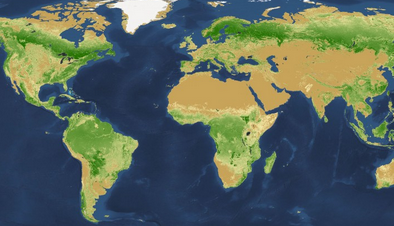 How many trees are there on Earth? Now that’s a bit harder. Some researches at Yale Univeristy, USA have worked on that question and their answer is 3.04 trillion trees. That is about 420 trees per person, which sounds like a lot of trees. However, the study estimates that the number of trees has decreased by 46% since the start of human civilization on the planet.Due to deforestation and our other activities, we are losing approximately 15 billion trees each year. You can watch a video about it here.